Home News and Politics When in Rome..
you who didn’t already know, “ciao” means “hello” as well as “goodbye” in Italian. I’ll provide you with some quick facts about traveling, a quick foreign language lesson, and some must sees in the beautiful capital of Italy. Italy does not take U.S. dollars, so make sure you convert your money once you get there to their monetary system, the Euro. Currently the exchange rate is not in our favor at around $1.34 Euro for every American $1.00. Book a flight. In the summer, traveling to Europe can be pretty costly. For example, an average flight in July for Continental Airlines from Philadelphia to Rome is approximately $1,400. *Booking a hotel will add to these costs. As well as any tours or day trips you may plan, food, and spending. Make sure you account for all of these expenses before deciding to travel to the appealing Rome. Come sta? means How are you? Parle inglese? means Do you speak English? Mi chiamo.. means My name is..
Dove è questo? means Where is this? Hopefully that will help you get around and find out some basic questions you need while traveling throughout Rome, or the rest of Italy. 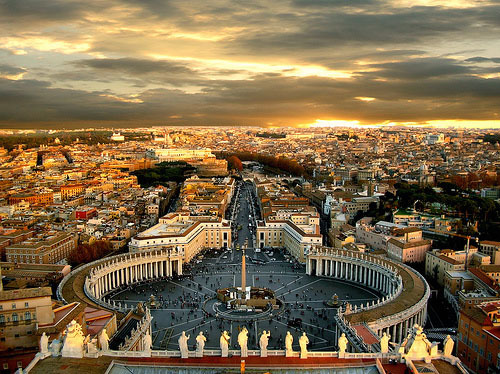 Now that you know some basic communication skills, I’ll show you the beautiful spots of Rome you must see. 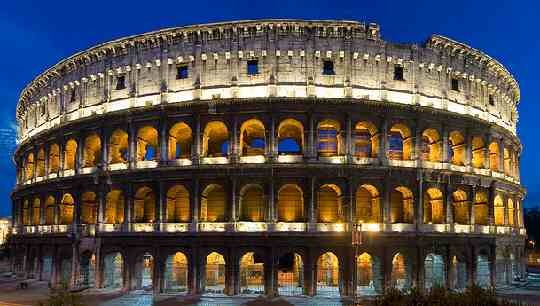 f art was built as far back as 72 A.D. by the Roman emperor Vespasian. It was used as an outdoor arena for shows and other events. There are several tours that walk through this where you will learn of ancient tales that occurred in this magnificently crafted building. Although you probably won’t get a chance to meet him yourself, on a nice Wednesday morning the Vatican holds mass in St. Peter’s square to a general audience. This is the number one spot for Catholics, and even if you’re not Catholic it’s fun to see someone so powerful as Pope Benedict XVI. Like the Opera? 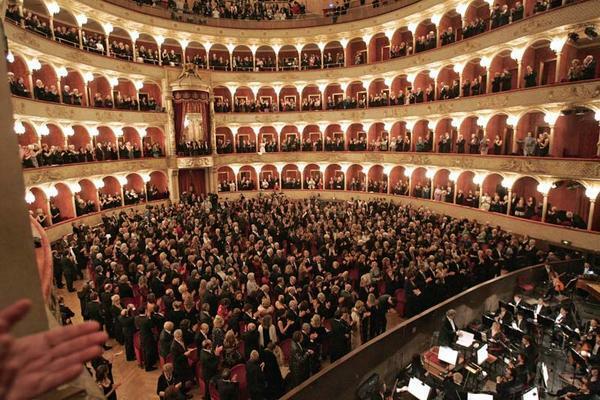 Rome is full of Opera theaters, including the famous Teatro dell’ Opera. Some are even in English! But if the language barrier doesn’t bother you, make sure you take a night to get dressed up and check one out. If all the museums bore you and you want to spend some cash, visit near the Piazza di Spagna or Spanish Steps. Not only is it a beautiful walk on a nice afternoon, but it holds some of Italy’s greatest designers from Armani to Prada to Versace to Dolce and Gabbana. Although expensive, it is good quality, authentic Italian merchandise. Do you like art? Visit this famous art museum filled with 17th Century art. Make sure you make a reservation ahead of time though, the museum likes to offer a limited amount of spots per session so the guests can truly experience the works of art. Make sure to check out various pizza places as well as gelato (Italian ice cream) stands while you’re there! Safe travels!